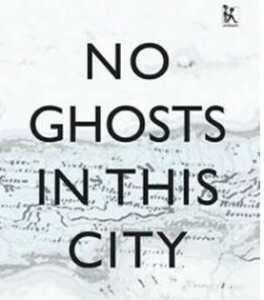 The stories in Uddipana Goswami’s ” No Ghosts In This City” are remarkable for their sociological imagination, a dip into Assam’s diverse culture, compassion and pathos. These stories turn fact to fiction: facts about society caught in web of changes, facts about the common man caught in the vicious cycle of militarism and militancy. The stories show the trauma of individuals, the complex currents of ethnicity, inter community hiatus and most of all the need to understand- empathy. What happens when an Assamese girl falls in love with an impoverished tribal boy, who changes, but not before he has actually witnessed his mother killed by armed people? His ‘change ‘ arises out of anger as he accuses the ‘others’ of treating his community with contempt. Again and again the stories reflect on this- unleashing of a painful divisiveness, which is the brutalization of society. The pain and the brunt is borne by a young mentally debilitated girl, or an educated lady coming back to her village in search of her roots.The girl had seen her father brutally killed by army men. Perhaps this was the cause of her silence and trauma. The story ” The Swing” ends on a tragic note with the girl dead. Also, in these stories is the question of the fateful why. Why cannot a Hindu get married to a Muslim? Perhaps there is no answer. The stories also give a glimpse of the wave of immigration in Assam since the British hey days.All these including the migration of tea workers, mainly from Central India are part of historical processes, leaving unfortunately sharp cleavages in society.The stories recur with historical migration and communities once at peace with one another, now divided.Yet this is Assam’s vibrant and colourful culture. The hills and the plains must co-exist, must fraternize. ”Melki Buri” is an exquisite story of an old lady known for her loquacity who suddenly dies. The villagers who avoid her like a plague, feel that veritable and proverbial lump in their throats when she dies. This story is a vivid portrayal with mythic and religious elements. The stories are cognizant of historical processes which have shaped Assam. They are a coloration of folk culture, history and social realities. They are marked by pathos and compassion, and use the language of prose and poetry. In fact the stories talk of the prose and poetry of life. Goswamí’s fictional world is the town of Barbari. What happens there can happen anywhere in Assam, India and by extension the world. This is a collection of deeply moving stories etched in shades of darkness, grey and light. They do not portray violence, but characters who are a product of it. At the base of them lie a finely tuned moral question. The protagonist in at least two of the stories, feels that he/ she has been responsible for killings in the wake of ethnic clashes. The individual conscious or conscience becomes inseparable from the collective. To imagine one’s home as a land of specters is most unlikely in a country where homes have traditionally been abodes of cultural bliss and prosperity. Does that mean we are too lethargic to discuss the appearance of death, especially in areas that are witnessing tremendous upheaval (away from the cultural/political mainstream)? Talking about ghosts (also “ghost” ideologies) in real and symbolic terms, Uddipana Goswami’s No Ghosts in This City argues that silences may, in fact, fuel positions worth examining in this context. To illustrate this, she describes how an Other (in the form of witches and ghosts) is created for women in the hills to fear, just so they do not step out of their houses (This tale is also a tale of the hills “otherising” the plains and vice-versa.) In a darkly funny story in No Ghosts in This City, there are people who are rumored to have seen gamusa-wearing ghosts, a hint at the failure of Axomiya nationalist insurgents to create a sovereign socialist Assam. Later in the same story, we get a glimpse of the large number of people who have become complicit in the death of ideologies; in short, their cynicism is directed at the decades of feigned bloodshed in the name of greater freedom. Uddipana has no illusions about freedom. In fact, according to her, to achieve freedom in the truest sense of the term, we have to identify ourselves in synergistic rather than exclusive ways. Her stories explore hyphenated areas; reminiscent of the term “brisure” that Derrida talks of, a breaking and joining at the same time, a continuous chain of endless location and dislocation. When we think of hyphens in a sentence, we are easily tricked by their structural usage. How can two identities not annihilate themselves to merge into one, but survive with distinct elements from both, thereby questioning the (structural) location of the hyphen itself? The author uses black humor in several stories, often while discussing domestic middle-class values. For example, in the story I Thought I Knew My Ma the protagonist copes up with caste discrimination by “little rebellions”; renouncing the oppressive Brahminical rules and connecting with tribal friends over beef and pork, who also talked of ethnic reconciliation and religious tolerance. The character Jonali tells us in another story I Do Not Love Samthat “her rebellions were always silent” and hence the puritanical convent educators (“Sisters”) never “burnt her carnal poems at stake”. 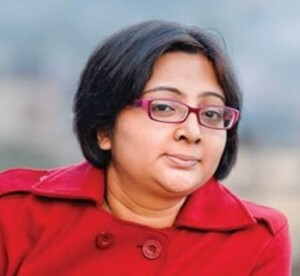 Convents and other Christian institutions also had a role to play in imparting regressive notions in the Assamese society; this much has also been mentioned by writers like Temsula Ao in the past. The material reason parents send their girls to convents is to get lucrative jobs and marry grooms with stable jobs. But the “spiritual reason” amounts to a blind bowing down to puritanical discipline. In the story This Is How We Lived, we get an insight into how killing becomes a narcotic that surpasses excuses of ethnicity and politics. A Punjabi Army officer, after a soldier under his command brutally shoots a brother and sister returning from school, accuses their parents of not co-operating in his task. Furthermore, the officer comes to pay his respects and blames the act on the terrorists. The story discusses the outsider-insider debate to argue that ultimately, it was blood everyone was lusting for, not a separate land or identity. Uddipana’s book becomes crucial in this regard; her stories are very conscious of the milieu that they inhabit. Voices generally seen as stigmatized or mutant, get an opportunity to present their side of the story. The world of children for instance, and how they cope up with violence, the scars it leaves in their psyche, are conveyed very powerfully. The Swing presents a poignant and painful picture of Aimoni, who saw her father being shot dead. Elders would take children for granted and never discuss their horror stories with them, but Aimoni would spend her time numb in her swing. Nobody could ever imagine she would manage to kill herself with the swing itself. The swing, then, becomes a perverse tool for freedom from her stifled existence. Most of the stories are also experiments with language and translation; colloquial memories are kept intact by using regional words for them, a kind of rediscovery of lost meanings. Perceptive and challenging, this book casts an ironic yet affectionate look at the inner realities of a state that seldom features in national dailies in times of dire need. Published in The Sunday Guardian, Nov. 29, 2014. Link: http://www.sunday-guardian.com/bookbeat/there-is-no-narcotic-more-powerful-than-violence.